Ajivika (IAST: Ājīvika) is one of the nāstika or "heterodox" schools of Indian philosophy. Purportedly founded in the 5th century BCE by Makkhali Gosala, it was a Śramaṇa movement and a major rival of early Buddhism and Jainism. Ājīvikas were organised renunciates who formed discrete communities. Original scriptures of the Ājīvika school of philosophy may once have existed, but these are currently unavailable and probably lost. Their theories are extracted from mentions of Ajivikas in the secondary sources of ancient Indian literature. Scholars question whether Ājīvika philosophy has been fairly and completely summarized in these secondary sources, as they were written by groups (such as the Buddhists and Jains) competing with and adversarial to the philosophy and religious practices of the Ajivikas. It is therefore likely that much of the information available about the Ājīvikas is inaccurate to some degree, and characterisations of them should be regarded carefully and critically. The Ājīvika school is known for its Niyati doctrine of absolute determinism, the premise that there is no free will, that everything that has happened, is happening and will happen is entirely preordained and a function of cosmic principles. Ājīvika considered the karma doctrine as a fallacy. Ajivika metaphysics included a theory of atoms similar to the Vaisheshika school, where everything was composed of atoms, qualities emerged from aggregates of atoms, but the aggregation and nature of these atoms was predetermined by cosmic forces. Ājīvikas were atheists and rejected the authority of the Vedas, but they believed that in every living being is an ātman – a central premise of Hinduism and Jainism. Founded in what is now the northern Indian state of Uttar Pradesh, Ājīvika reached the height of its popularity during the rule of the Mauryan emperor Bindusara around the 4th century BCE. This school of philosophy thereafter declined, but survived for nearly 2,000 years through the 14th century CE in the southern Indian states of Karnataka and Tamil Nadu. The Ājīvika philosophy, along with the Cārvāka philosophy, appealed most to the warrior, industrial and mercantile classes of ancient Indian society. Ajivika (Ājīvika, Sanskrit: आजीविक) is derived from the root Ajiva (Ājīva, आजीव) which literally means "livelihood, lifelong, mode of life". The term Ajivika means "those following special rules with regard to Iivelihood", sometimes connoting "religious mendicants" in ancient Sanskrit and Pali texts. The name Ajivika for an entire philosophy resonates with its core belief in "no free will" and complete niyati, literally "inner order of things, self-command, predeterminism", leading to the premise that good simple living is not a means to salvation or moksha, just a means to true livelihood, predetermined profession and way of life. The name came to imply that school of Indian philosophy which lived a good simple mendicant-like livelihood for its own sake and as part of its predeterministic beliefs, rather than for the sake of after-life or motivated by any soteriological reasons. Some scholars spell Ajivika as Ajivaka. Ājīvika philosophy is credited in ancient texts of Buddhism and Jainism to Makkhali Gosala, a contemporary of the Buddha and Mahavira. Exact origins of Ājīvika is unknown, but generally accepted to be the 5th century BCE. Primary sources and literature of the Ājīvikas is lost, or yet to be found. Everything that is known about Ājīvika history and its philosophy is from secondary sources, such as the ancient and medieval texts of India. Inconsistent fragments of Ājīvika history is found mostly in Jain texts such as the Bhagvati Sutra and Buddhist texts such as the Samaññaphala Sutta, and Buddhaghosa's commentary on Sammannaphala Sutta, with a few mentions in Hindu texts such as Vayu Purana. The Ājīvikas reached the height of their prominence in the late 1st millennium BCE, then declined, yet continued to exist in south India until the 14th Century CE, as evidenced by inscriptions found in southern India. Ancient texts of Buddhism and Jainism mention a city in the 1st millennium BCE named Savatthi (Sanskrit Śravasti) as the hub of the Ājīvikas; it was located near Ayodhya in what is now the North Indian state of Uttar Pradesh. In later part of the common era, inscriptions suggests that the Ājīvikas had a significant presence in the South Indian state of Karnataka and the Kolar district of Tamil Nadu. The Ājīvika philosophy spread rapidly in ancient South Asia, with a Sangha Geham (community center) for Ājīvikas on the island now known as Sri Lanka and also extending into the western state of Gujarat by the 4th century BCE, the era of the Maurya Empire. Riepe refers to Ājīvikas as a distinct heterodox school of Indian tradition. Raju states that "Ājīvikas and Charvakas can be called Hindus", and adds that "the word Hinduism has no definite meaning". Epigraphical evidence suggests that emperor Ashoka, in the 3rd century BCE, considered Ajivikas to be more closely related to the schools of Hinduism than to Buddhists, Jainas or other Indian schools of thought. Makkhali Gosala (Pali; Sanskrit Gośala Maskariputra, c. 484 BCE) is generally considered as the founder of the Ājīvika movement. Some sources state that Gosala was only a leader of a large Ājīvika congregation of ascetics, but not the founder of the movement himself. The Swiss Indologist Jarl Charpentier and others suggest the Ājīvika tradition existed in India well before the birth of Makkhali Gosala, citing a variety of ancient Indian texts. Gosala was born in Magadha and was the son of Mankha, a professional mendicant. His mother was Bhaddā. His name Gosala "cowshed" refers to his humble birthplace. While Bhaddā was pregnant, she and her husband Mankhali, the mankha, came to the village ... of Saravaṇa, where dwelt a wealthy householder Gobahula. Mankhali left his wife and his luggage ... in Gobahula’s cowshed (gosālā) ... Since he could find no shelter elsewhere the couple continued to live in a corner of the cowshed, and it was there that Bhaddā gave birth her child." Ashoka's Seventh Pillar Edict mentions Ajivikas. Above in the second column is the seventh edict in the Brahmi script (3rd century BCE). Gosala is described in ancient texts as a contemporary of Mahavira, the 24th Tirthankara of Jainism, and of Buddha. The Jain Bhagavati Sutra refers to him as Gosala Mankhaliputta (Sanskrit: Mankhaliputra "son of Mankhali"). The text depicts Gosala as having been a disciple of Mahavira's for a period of six years, after which the two had a falling out and parted ways. According to the Bhagvati Sutra, Makkhali Gosala met with Mahāvīra again later in life, but Gosala asserted to Mahavira that he was not the same person. Makkhali Gosala referred to the example of a sesame plant which “had been pulled up, and had temporarily died, but it had been replanted and thus reanimated, becoming once more living, while the seven pods had developed”. Gosāla declared that the original Gosāla who was Mahavira's companion once was dead, and that the soul now inhabiting the apparent Gosāla in front of him was a reanimated, completely different Gosala. This argument was declared a form of sophistry by Mahavira, and this led to a significant break in the relations between the two. Several rock-cut caves belonging to Ājīvikas are dated to the times of the Mauryan emperor Ashoka (r. 273 BC to 232 BC). These are the oldest surviving cave temples of ancient India, and are called the Barabar Caves in Jehanabad district of Bihar. The Barabar caves were carved out of granite, has a highly polished internal cave surfaces, and each consists of two chambers, the first is a large rectangular hall, the second is a small, circular, domed chamber. These were probably used for meditation. Ājīvikas competed and debated the scholars of Buddhism, Jainism and Hinduism. The Ājīvika movement is primarily from historical references left behind in Jain and Buddhist sources, that may therefore be hostile to it. It is unknown to what degree the available non-Ājīvika sources reflect the actual beliefs and practices of the Ājīvikas. Most of what is known about them was recorded in the literature of rival groups, modern scholars question the reliability of the secondary sources, and whether intentional distortions for dehumanization and criticism was introduced into the records? More recent work by scholars suggests that the Ājīvika were perhaps misrepresented by Jain and Buddhist sources. [Johannes Bronkhorst's] claim is that, whereas the Jains teach that one can both stop the influx of new karma and rid oneself of old karma through ascetic practice, Gosāla taught that one could only stop the influx of new karma. [...] Ascetic practice can be effective in preventing further karmic influx, which helps to explain the otherwise inexplicable fact that the Ājīvikas did practice asceticism. [...] [T]he popularity of the Ājīvika doctrine in ancient times, such that it could rival that of both Jainism and Buddhism, also make sense if this doctrine was really not so radically different from these traditions as its presentation in Jain and Buddhist sources suggests. Paul Dundas states that the Jain and Buddhist texts cannot be considered reliable source of Ājīvika history and philosophy, because "it seems doubtful whether a doctrine [of Ajivikas] which genuinely advocated the lack of efficacy of individual effort could have formed the basis of a renunciatory path to spiritual liberation", and that "the suspicion must be that the Jains and Buddhists deliberately distorted Ajivika doctrine for their own polemical purposes". In contrast, other scholars suggest that at least the common elements found about Ājīvikas in Jain and Buddhist literature may be considered, because Jainism and Buddhism were two different, competing and conflicting philosophies in ancient India. The problems of time and change was one of the main interests of the Ajivikas. Their views on this subject may have been influenced by Vedic sources, such as the hymn to Kala (Time) in Atharvaveda. Both Jaina and Buddhist texts state that Ājīvikas believed in absolute determinism, absence of free will, and called this niyati. Everything in human life and universe, according to Ajivikas, was pre-determined, operating out of cosmic principles, and true choice did not exist. The Buddhist and Jaina sources describe them as strict fatalists, who did not believe in karma. The Ajivikas philosophy held that all things are preordained, and therefore religious or ethical practice has no effect on one’s future, and people do things because cosmic principles make them do so, and all that will happen or will exist in future is already predetermined to be that way. No human effort could change this niyati and the karma ethical theory was a fallacy. James Lochtefeld summarizes this aspect of Ajivika belief as, "life and the universe is like a ball of pre-wrapped up string, which unrolls until it was done and then goes no further". Riepe states that the Ajivikas belief in predeterminism does not mean that they were pessimistic. Rather, just like Calvinists belief in predeterminism in Europe, the Ajivikas were optimists. The Ajivikas simply did not believe in the moral force of action, or in merits or demerits, or in after-life affected because of what one does or does not do. Actions had immediate effects in one's current life but without any moral traces, and both the action and the effect was predetermined, according to the Ajivikas. Makkali Gosala seems to have combined the ideas of older schools of thought into an eclectic doctrine. He appears to have believed in niyati (destiny), svabhava (nature), and sangati (change), and possibly parinama, which may have prompted other philosophical schools to label him variously as ahetuvadin, vainayikavadin, ajnanavadin, and issarakaranavadin. According to him all beings undergo development (parinama). This culminates in the course of time (samsarasuddhi) in final salvation to which all beings are destined under the impact of the factors of niyati (destiny), bhava (nature), and sangati (change). As such destiny does not appear as the only player, but rather chance or indeterminism plays equal part in his doctrine. He thus subscribed to niyativada (fatalism) only in the sense that he thought that some future events like salvation for all were strictly determined. Ajivikas were an atheistic philosophy. They did not presume any deity as the creator of the universe, or as prime mover, or that some unseen mystical end was the final resting place of the cosmos. 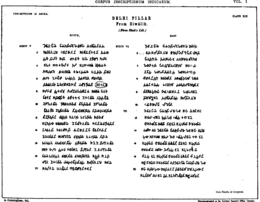 In later texts, the Tamil Nīlakēci, a story of two divinities, Okkali and Ōkali, relates the Ājīvikas instructed men in the scriptures. Ajivikas believed that in every being there is a soul (Atman). However, unlike Jains and various orthodox schools of Hinduism that held that soul is formless, Ajivikas asserted that soul has a material form, one that helps meditation. They also believed that the soul passes through many births and ultimately progresses unto its pre-destined nirvana (salvation). Basham states, that some texts suggest evidence of Vaishnavism-type devotional practices among some Ajivikas. Ajivikas developed a theory of elements and atoms similar to the Vaisheshika school of Hinduism. Everything was composed of minuscule atoms, according to Ajivikas, and qualities of things are derived from aggregates of atoms, but the aggregation and nature of these atoms was predetermined by cosmic forces. The description of Ajivikas atomism is inconsistent between those described in Buddhist and Hindu texts. According to three Tamil texts, the Ajivikas held there exist seven kaya (Sanskrit: काय, assemblage, collection, elemental categories): pathavi-kaya (earth), apo-kaya (water), tejo-kaya (fire), vayo-kaya (air), sukha (joy), dukkha (sorrow) and jiva (life). The first four relate to matter, the last three non-matter. These elements are akata (that which is neither created nor destroyed), vanjha (barren, that which never multiplies or reproduces) and have an existence independent of the other. The elements, asserts Ajivika theory in the Tamil text Manimekalai, are made of paramanu (atoms), where atoms were defined as that which cannot be further subdivided, that which cannot penetrate another atom, that which is neither created nor destroyed, that which retains its identity by never growing nor expanding nor splitting nor changing, yet that which moves, assembles and combines to form the perceived. The Tamil text of Ajivikas asserts that this "coming together of atoms can take diversity of forms, such as the dense form of a diamond, or a loose form of a hollow bamboo". Everything one perceives, states the atomism theory of Ajivikas, was mere juxtapositions of atoms of various types, and the combinations occur always in fixed ratios governed by certain cosmic rules, forming skandha (molecules, building blocks). Atoms, asserted the Ajivikas, cannot be seen by themselves in their pure state, but only when they aggregrate and form bhutas (objects). They further argued that properties and tendencies are characteristics of the objects. The Ajivikas then proceeded to justify their belief in determinism and "no free will" by stating that everything experienced – sukha (joy), dukkha (sorrow) and jiva (life) – is mere function of atoms operating under cosmic rules. Riepe states that the details of the Ajivikas theory of atomism provided the foundations of later modified atomism theories found in Jain, Buddhist and Hindu traditions. Another doctrine of Ajivikas philosophy, according to Buddhist texts, was their antinomian ethics, that is there exist "no objective moral laws". Buddhaghosa summarizes this view as, "There is neither cause nor basis for the sins of living beings and they become sinful without cause or basis. There is neither cause nor basis for the purity of living beings and they become pure without cause or basis. All beings, all that have breath, all that are born, all that have life, are without power, or strength, or virtue, but are the result of destiny, chance and nature, and they experience joy and sorrow in six classes". Despite this ascribed premise of antinomian ethics, both Jain and Buddhist records note that Ājīvikas lived a simple ascetic life, without clothes and any material possessions. Tamil literature on Ajivikas suggests that they practiced Ahimsa (non-violence) and a vegetarian lifestyle. Arthur Basham notes that Buddhist and Jaina texts variously accuse Ajivikas of immorality, unchastity and worldiness, but they also acknowledge the confusion among Buddhists and Jainas when they observed the simple, ascetic lifestyle of Ajivikas. The Ajivika had a fully elaborate philosophy, produced by its scholars and logicians, but those texts are lost. Their literature evolved over the centuries, like other traditions of Indian philosophy, through the medieval era. The Pali and Prakrit texts of Buddhism and Jainism suggest that Ajivika theories were codified, some of which were quoted in commentaries produced by Buddhist and Jaina scholars. The main texts of the Ajivikas included the ten Purvas (eight Mahanimittas, two Maggas) and the Onpatu Katir. The Mahanimittas of Ajivikas, claims Bhagavati Sutra, was extracted from the teachings Gosala received from Mahavira, when he was a disciple. The belief of Ajivikas in absolute determinism and influence of cosmic forces led them to develop extensive sections in their Mahanimittas texts on mapping the sun, moon, planets, stars and their role in astrology and fortune telling. Isaeva states that the ideas of Ajivika influenced Buddhism and various schools of Hinduism. Riepe states an example of an influential Ajivika theory was its theory on atomism. Basham suggests Ajivikas may have possibly influenced the medieval era doctrines of Dvaita Vedanta sub-school of Hinduism. According to the 2nd century CE text Ashokavadana, the Mauryan emperor Bindusara and his chief queen Shubhadrangi were believers of this philosophy, that reached its peak of popularity during this time. Ashokavadana also mentions that after his conversion to Buddhism, Bindusara's son Ashoka issued an order to kill all the Ajivikas in Pundravardhana, enraged at a picture that depicted Gautama Buddha in a negative light. Around 18,000 followers of the Ajivika sect were executed as a result of this order. An earlier Jaina text, the Bhagavati Sutra, similarly mentions a debate, disagreement and then "coming to blows" between factions led by Mahavira and by Gosala. 1 2 Basham 1951, pp. 145-146. 1 2 3 4 5 6 7 8 9 10 Basham 1951, Chapter 1. 1 2 3 4 5 6 7 8 Basham 1951, pp. 262-270. ↑ Basham 1951, pp. 240-261. ↑ Basham 1951, pp. 270-273. ↑ Basham 1951, pp. 122-123. ↑ Basham 1951, pp. 148-153. ↑ Basham 1951, p. 35. ↑ Basham 1951, p. 36. ↑ Basham 1951, p. 48. ↑ Basham 1951, p. 31. 1 2 Entrance to one of the Barabar Hill caves British Library. ↑ Long, Jeffery D (2009). Jainism. New York: I. B. Tauris. p. 44. ISBN 978-1-84511-626-2. ↑ Jayatilleke 1963, p. 142. 1 2 3 Jayatilleke 1963, p. 140-161. ↑ Basham 1951, p. 272. ↑ Basham 1951, pp. 269-273. ↑ Basham 1951, pp. 248-256. ↑ Basham 1951, pp. 276-280, 186. ↑ Basham 1951, p. 4. ↑ Basham 1951, p. 123. ↑ Basham 1951, pp. 123-127. 1 2 3 Basham 1951, pp. 213-223. ↑ Basham 1951, pp. 124-127. ↑ Basham 1951, pp. 149, 282, 327. ↑ John S. Strong (1989). The Legend of King Aśoka: A Study and Translation of the Aśokāvadāna. Motilal Banarsidass Publ. p. 232. ISBN 978-81-208-0616-0. Retrieved 30 October 2012. ↑ Beni Madhab Barua (5 May 2010). The Ajivikas. General Books. pp. 68–69. ISBN 978-1-152-74433-2. Retrieved 30 October 2012. Basham, A.L. (1951). History and Doctrines of the Ājīvikas (2nd ed.). Delhi, India: Moltilal Banarsidass (Reprint: 2002). ISBN 81-208-1204-2. originally published by Luzac & Company Ltd., London, 1951. Balcerowicz, Piotr (2015). Early Asceticism in India: Ājīvikism and Jainism (1st ed.). Routledge. p. 368. ISBN 9781317538530. Warder, Anthony K. (1998). "Lokayata, Ajivaka, and Ajnana Philosophy". A Course in Indian Philosophy (2nd ed.). Delhi: Motilal Banarsidass Publishers. pp. 32–44. ISBN 9788120812444.